Tis the season to revisit a cherished classic that features stars in my Forgotten Hollywood Book Series, including Lionel Barrymore, Thomas Mitchell, Gloria Grahame, Beulah Bondi, and Ward Bond; plus the superb work of James Stewart, Donna Reed, Frank Faylen, and Henry Travers. 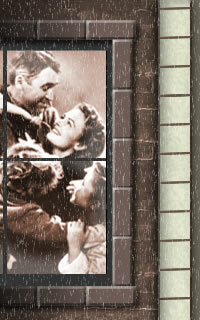 ~ The Seneca Falls It’s a Wonderful Life Museum is open year-round. Located at 32 Fall St., it’s open Tuesday-Saturday, 11a–4p. Each day, an It’s a Wonderful Walking Tour takes place. The museum will be closed December 24th-26th and December 30th-January 2nd. 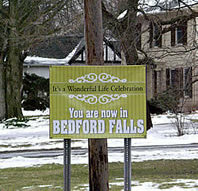 ~ Two co-stars of It’s a Wonderful Life were the invited guests at the annual December festival held at the adopted home of this holiday treasure. Seneca Falls celebrated the 66th anniversary of the motion picture release this past weekend. 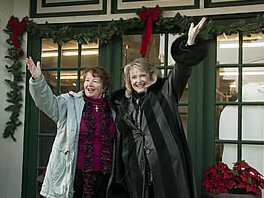 <– Karolyn Grimes & Carol Coombs-Mueller, who played Zuzu and Janie, the cinematic daughters of George Bailey (Stewart), made the trek to introduce the movie, and discuss its influence. Autographed copies of Karolyn’s new publication — Celebrating It’s a Wonderful Life…How the Movie Message of Hope Lives On — were also available for purchase. ~ Grimes is planning a trip to the Hollywood Blvd. Cinema, Bar, and Eatery in Woodridge, Illinois; and the New Palms Theatre in Naperville, Illinois. This three day excursion takes place December 14th-16th. 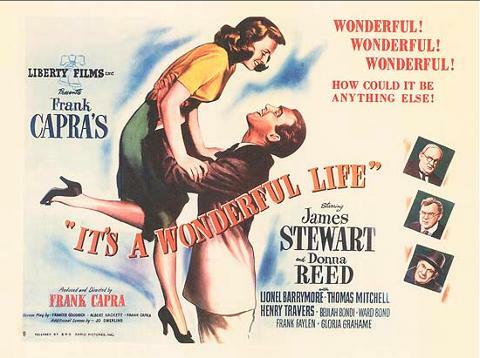 It’s a Wonderful Life will be shown at each event. 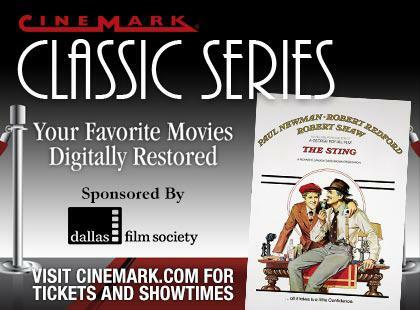 ~ The Dallas Film Society is presenting It’s a Wonderful Life as part of the Cinemark Classic series. Theater-going audiences will enjoy this timeless flick at Cinemark’s theaters in Dallas, Allen, Denton, Frisco, Grapevine, Grand Prairie, Mansfield, Plano West, Legacy, and Rockwall. Two screenings take place on December 19th at 2p and 7p. Zuzu remarks in the movie’s finale: Teacher says – Every time a bell rings, an angel gets his wings! George responds: That’s right! Way to go Clarence! This entry was posted on Wednesday, December 12th, 2012 at 12:53 am	and is filed under Blog by Manny Pacheco. You can follow any comments to this post through the RSS 2.0 feed. Responses are currently closed, but you can trackback from your own site.